Swallows Return is a cosy 2 bedroom barn up a private drive next to our farmhouse. It is surrounded by a sunny garden with patio furniture and you are welcome to use our gas barbecue. Accommodation consists of a spacious kitchen, comfortable lounge area and separate conservatory dining room. Downstairs is a double bedroom with understairs wardrobe. Upstairs offers flexible accommodation as a single bed which can also be converted to two twin beds or another double. There is a family bathroom with double shower. Bugle is 15 minutes drive from the Eden Project, and half an hour to the surf beaches of Newquay. The nearby train station goes direct to Newquay. There is local shop and pub in Bugle which is about 1 mile away. The main A30 is only 2 mile away, and gives good access to all of Cornwall. We are only 30 minutes from both North and South Cornwall beaches including St Austell Bay, Mevagissey, Padstow and Rock. The famous Lost Gardens of Heligan are only 11 miles away. A 20 minute drive will you to the pretty port of Charlestown made famous by the Poldark TV series. Lanhydrock with its National Trust House and Golf club are nearby. 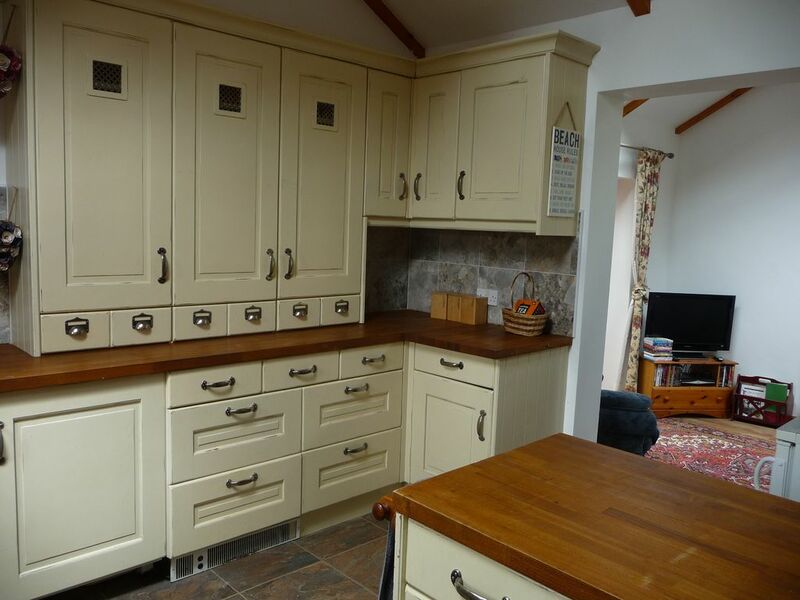 Homely, warm and comfortable converted barn. Good value for money. Had all the amenities needed for a great stay, would give 5* if there were bedside lamps and some baking trays. Apart from that is was a lovely place to stay, very relaxing. Mandy and Paul were friendly and welcoming on our arrival for the August bank holiday weekend. The cottage style barn was lovely and homely and close to the Eden Project which was our main interest in visiting Cornwall. I thought that the price for the weekend was very good value compared to other properties. Mandy and Paul recommended several places to eat in Charlestown, which is a short drive away and has a selection of really excellent fish resturants. It's also where they film some of the Poldark TV series. The family all agreed this is a little 'hidden gem'. We would happily go back anytime. Thanks again to Mandy and Paul for being so lovely. Thank you for your review. We are really pleased that you enjoyed your trip to Cornwall.